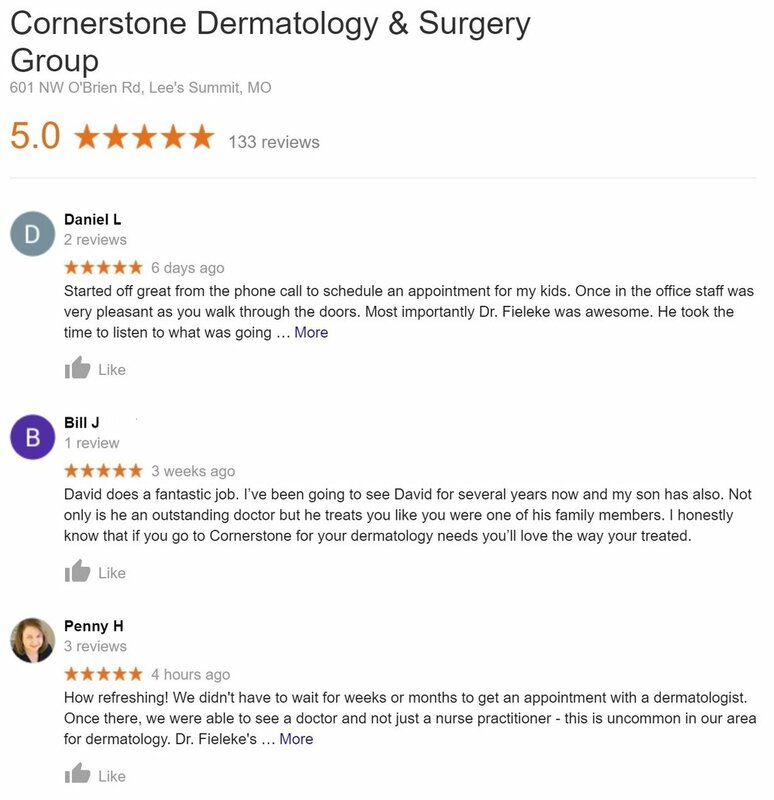 Independence dermatology residents are excited to be within a 25 minute drive from Dr. David Fieleke’s Cornerstone Dermatology and Surgery Group’s office. Dr. David Fieleke is pleased to expand access to dermatology care to Independence, Missouri. Dr. Peter Muelleman cared for patients in Independence for more than 30 years. Upon his retirement in May, 2019, there is no longer a board-certified dermatologist serving the community. Cornerstone Dermatology in Lee’s Summit is just a 20-minute drive from the Independence Events Center via Highway 470 South. Cornerstone Dermatology is truly grateful for the incredible support of our patients in Independence, Lee’s Summit, Blue Springs and the many surrounding communities! It is a privilege to care for you!